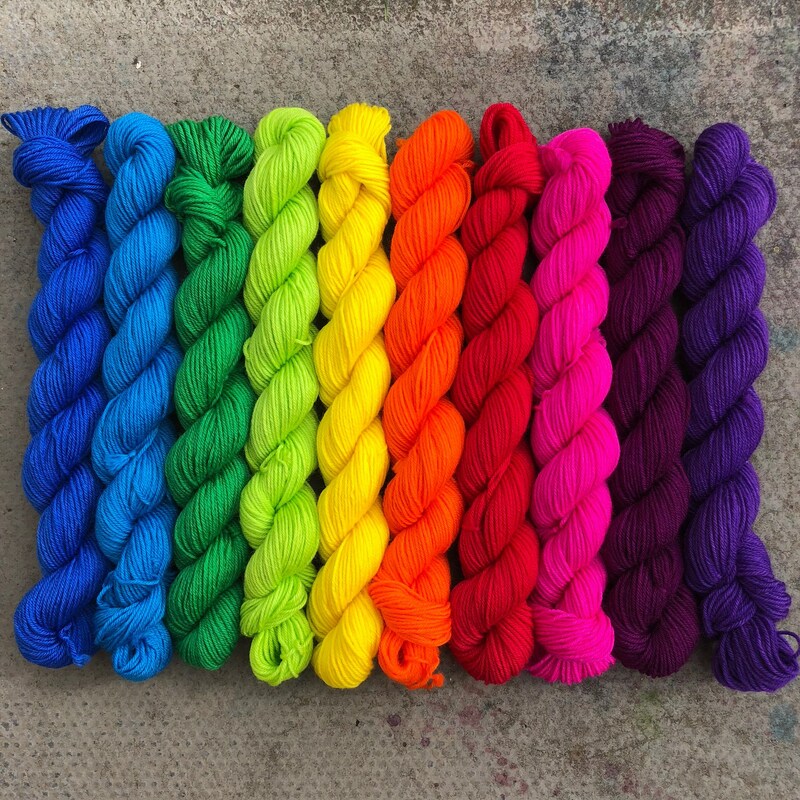 Ten brightly coloured rainbow mini skeins of soft platinum sock yarn, each weighing 20g (just over 200g of yarn in total). You get one of each rainbow colour as shown in the pictures. Plenty of yarn for two pairs of full size adults socks or for adding bright colour to any project. These miniskeins complement my full size "A Nice Grey" skeins beautifully. These are a superwash treated 4ply sock weight with 75% merino wool for softness and warmth and 25% nylon for strength and durability. It is suitable for approximately 2-3mm needles. About 84 metres per 20g skein, adding up to 820 metres per 200g lot.